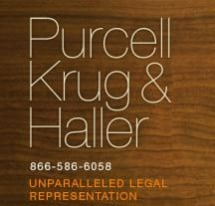 Purcell, Krug & Haller is a full-service AV rated* law firm with offices in Harrisburg, Pennsylvania, and Hershey, Pennsylvania. A substantial client base is referred to our firm by previous clients and our attorney colleagues. We believe past clients refer friends and family to our firm because of the successful and efficient results we are able to obtain. We believe our colleagues feel confident in our capabilities and know our record of success. Our lawyers meet the diverse legal needs of individuals, families and small businesses in practice areas that include divorce, child custody, collaborative law, bankruptcy, real estate services, estate planning, estate litigation, personal injury and Social Security Disability (SSD) claims. We invite you to call our Harrisburg office at 717-260-3485 or our Hershey office at 717-533-3836 to arrange your consultation. At PK&H, we are committed to our clients and take great care in helping them succeed with their legal needs. We are active in associations and networks that help us stay current on the various legal issues our clients face. We are members of the American Bankruptcy Institute, the American Bar Association, National Association of Bankruptcy Trustees, Pennsylvania Bar Association, Gauphin County Bar Association, Pennsylvania Association for Justice, Independent Collaborative Attorneys of Central Pennsylvania, International Association of Collaborative Attorneys, National Association of Consumer Bankruptcy Attorneys, Middle District Bankruptcy Bar Association and other related professional associations. We are a member of the American Legal & Financial Network (AFN), a foreclosure network. We also have a talented legal team of certified title agents and attorneys who have extensive experience in real estate, foreclosure and bankruptcy.